See how protection plan provider SquareTrade tested the iPhone 8’s glass durability. When rumors circulated that the iPhone 8 would come in all glass to facilitate wireless charging, we all harkened back to the days of yore when the iPhone 4 would shatter if you so much as looked at it funny. But now that the newest model is here in all its supposedly dainty glory, it's finally time to measure how it stacks up to Samsung's newest offering. 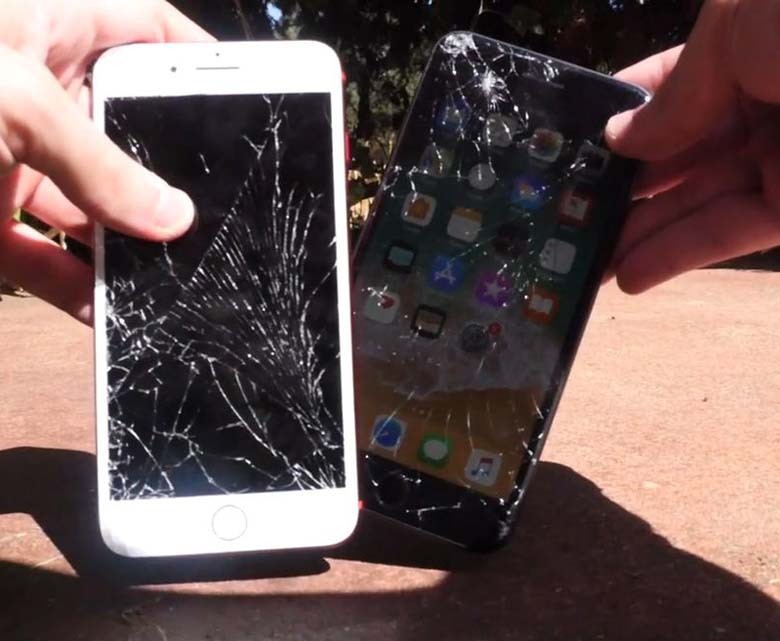 Protection plan provider SquareTrade used a breakability test to determine the strengths and weaknesses of the iPhone 8, iPhone 8 Plus and Galaxy Note8. Through a series of tests — think dropping it from all angles, dunking it in water, bending it, shooting it with the strength of having it fly off the roof of a moving car, and having it perform somersaults — each device received a risk score. To the testers' surprise, the iPhone 8 clocked in at 67, the iPhone 8 Plus at 74, and the Galaxy Note8 at 80. The higher the score, the more prone it is to damage during an accident. Luckily, SquareTrade measured the ease with which you can do that, too, each clocking in at 70. While Apple's newest devices demonstrate overall superior durability thanks in part to an "aerospace-grade band," reviving your Samsung after a fall is still within the realm of possibility. It'll just be a lot more tedious.